This May is the first month in a long time that our entire Treo and Centro Software Bestseller list has so radically changed. For starters, among the Top 3 the excellent TAKEphONE has now taken the #1 slot while still leaving VolumeCare Pro and Ringo Pro in the remaining two places. We also see a completely new entry with SafeGuard at #5 and for the first time a game on this list with the increasingly popular The Real Dice Network at #9. At the other end, dropping out of our list this month are the bestselling Reset Doctor and UltimatePhone as well as the excellent and highly recommended KeyguardExt (see my review). 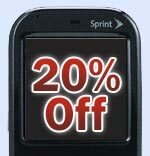 To help you enjoy using these terrific applications we’ve created a 20% off coupon valid until June 15 – simply enter the coupon code BESTSELLERS in your cart [please note that this coupon is not valid for use in the Treo Accessories Store or Centro Accessories Store]. 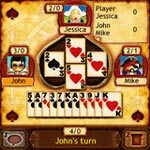 You can use this coupon to purchase any application found in the software store but I strongly encourage you to start by looking at the 10 bestselling Treo titles below, the full list of bestsellers in our store as well as this month’s top games and my Top 100 Treo and Centro Software list. TAKEphONE v7.55 is one of my most trusted utilities which greatly enhances the capabilities of Treo and Centro address books. TAKEphONE has been extensively reviewed and consistently receives accolades for improving search, dialing, emailing, and SMS on Palm OS smartphones. Butler is the assistant who thinks of everything with Alarms, Attention Grabber, Navigation, Launching, LED, Keyguard, Hide Popups, Business Card Beam and much more it is no wonder that it has been a top 10 bestselling Treo software for nearly two years now. Butler contains 7 complete sets of utilities yet costs less than most single applications – probably one of the many reasons why it has consistently proven so popular. 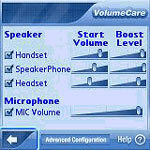 Many people have complained about low volume input and output while on a call in different environments. As usual, it should not be too surprising that a small third-party utility called VolumeCare has sprung up to correct this issue becoming one of the bestselling Treo applications in the process – one which countless Treonauts bless every day. The obvious practical aspect of Ringo is that it will allow you to bring your Treo alive with amazing MP3 ringtones - and set personal tones and pictures for friends and groups. Ringo Pro lets you add the magic of MP3 ringtones to every call - bringing your smartphone to life, every time it rings. 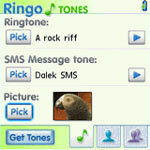 You can use your favourite music, or explore the world of "real tones" to add some great new call effects to your phone. If your Treo/Centro happens to crash randomly or you simply want to know exactly why your Treo/Centro crashes highlighting what application is causing your beloved smartphone to reset then SafeGuard is the answer. 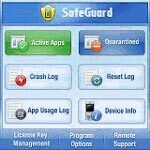 SafeGuard's advanced Crash Detection Technology (CDT) will help identify the reason for crashes on your Treo/Centro like no other application has ever done. It also knows how to recover your Treo/Centro from the dreaded Reset Loop of Death that comes from installing misbehaving 3rd party applications. 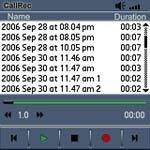 CallRec is a small and extremely easy to use application that will record important phone calls, a voice memo or any other sound coming in or out of your Treo or Centro at the simple push of the Side Button so that you can listen to them later. CallRec is the premier voice recording application for your smartphone. This simple-to-use application also allows you set an option to automatically record all your phone calls and it store files directly to the memory card and recording duration is limited only by free space on the card. CorePlayer is simply the best video player available for your Treo or Centro and one of the absolutely essential applications on my smartphone. CorePlayer Mobile provides a simple yet extremely powerful interface and advanced features designed to empower your multimedia experience – from watching YouTube video, streaming audio, playing AVI, WMA, MP3 and many more files. Real Dice is the #1 bestselling Treo and Centro game. It has been recognized with numerous industry awards in 2006, including Developer of the Year and Game of the Year. When you join the Real Dice family, you can be sure you'll get a first-class gaming experience. 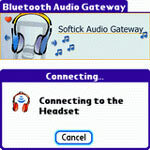 Softick Audio Gateway’s is the first and only solution available for your Treo and Centro that delivers full support for Advanced Audio Distribution Profile support (A2DP) and Audio/Video Remote Control Profile (AVRCP) so that you can easily control Play/Pause, Volume Up/Down and Next/Previous track directly and wirelessly from your Bluetooth stereo headphones without the need to touch your smartphone while listening to your digital music while on the go.